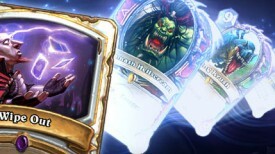 Hearthstone which was originally announced to to be coming to PC, Mac, and the iPad added a few more devices onto that list yesterday at BlizzCon. 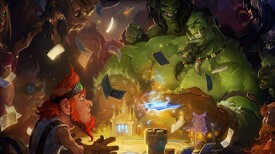 Hearthstone will also be coming out on Android phones and tablets, along with the iPhone later next year. 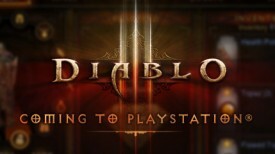 This is great news since Hearthstone is a game where you can casually pick up and play a quick game so players will be able to play Hearthstone on the go when waiting at around anywhere they are now. Android and iOS also have hundreds of millions of users worldwide and I have no doubt that Hearthstone will soar to the top of the Android Marketplace and iOS Appstore, which will allow Blizzard to grow their audience of gammers far beyond anything they have ever even dreamed of. 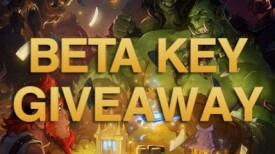 Android and iOS users who have never even tried a Blizzard game before will most likely try Hearthstone allowing Blizzard to draw millions of new gammers into their ecosystem of games.